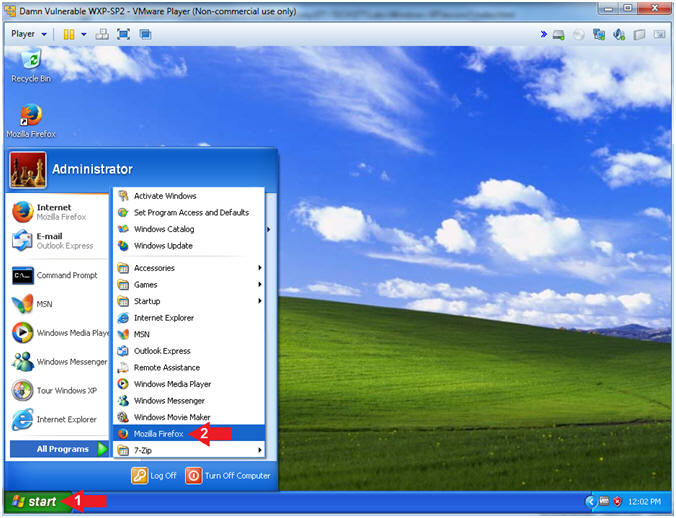 What is Damn Vulnerable Windows XP? 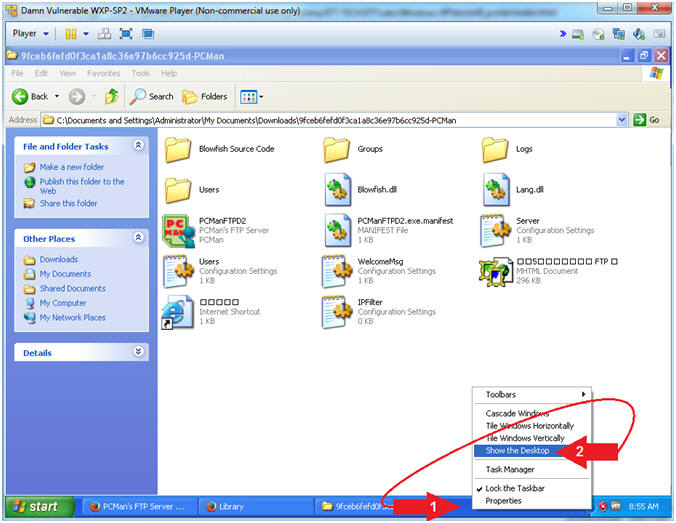 This is a Windows XP Virtual Machine that provides a practice environment to conduct ethical penetration testing, vulnerability assessment, exploitation and forensics investigation. 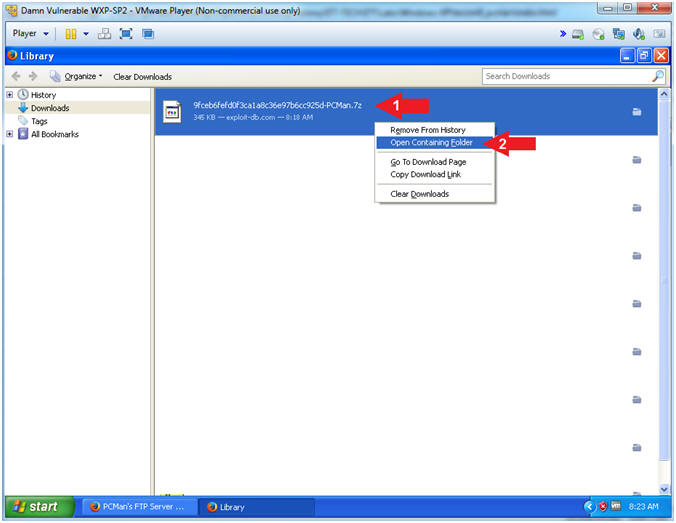 The Microsoft Software License Terms for the IE VMs are included in the release notes. 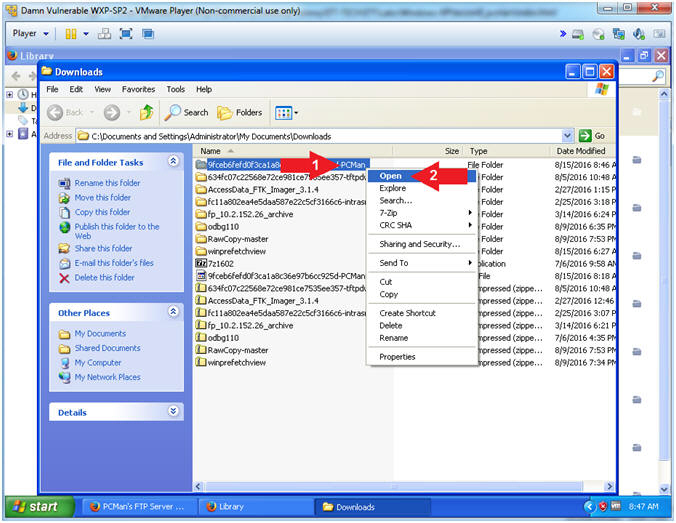 What is PCMan FTP Server? 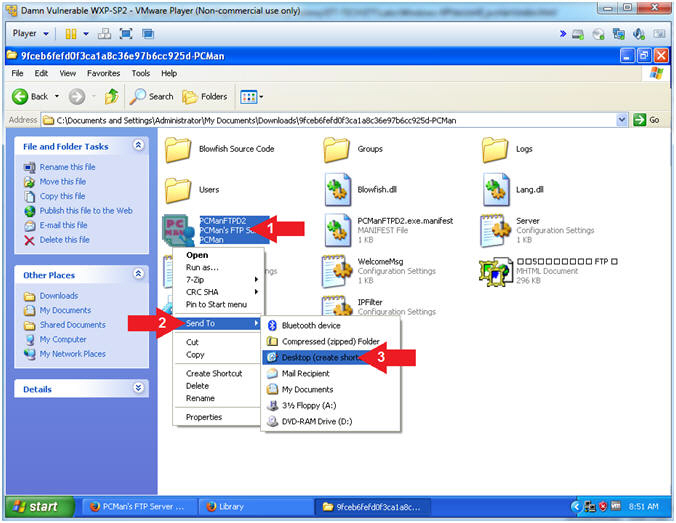 PCMan's FTP Server is a free software mainly designed for beginners not familiar with how to set up a basic FTP. Configuration is made very easy. Consequently, functionality and security are not major concerns. 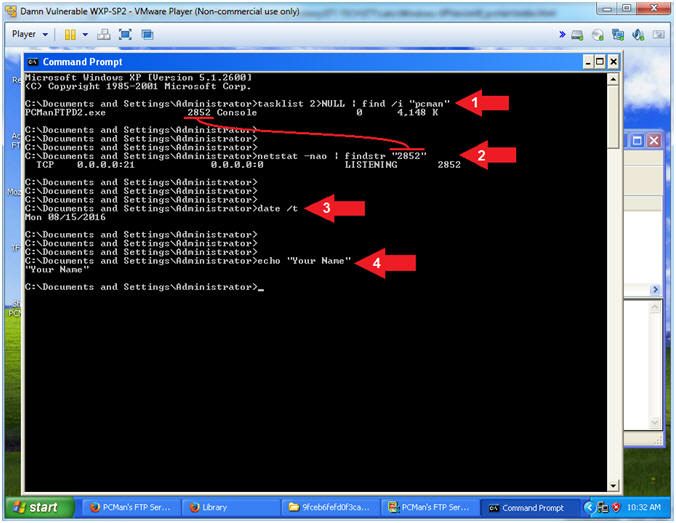 Accordingly, the following exploit (CVE-2013-4730) exists. 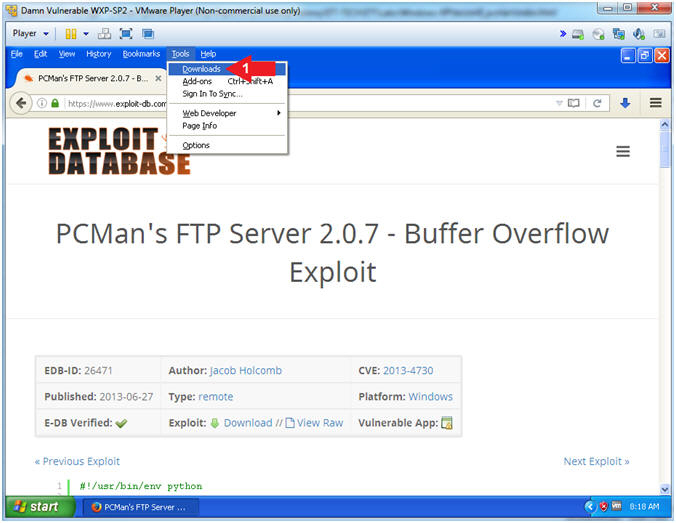 What is the PCMan FTP Server 2.0.7 Buffer Overflow Exploit? The CVE Vulnerability number is CVE-2013-4730. 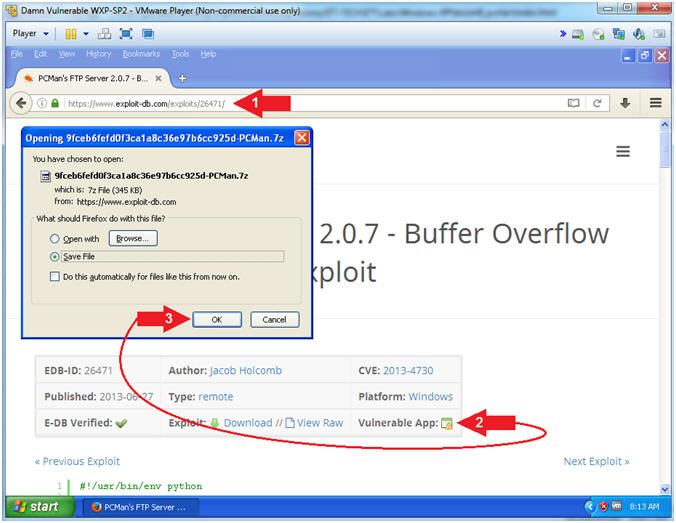 Buffer overflow in PCMan's FTP Server 2.0.7 allows remote attackers to execute arbitrary code via a long string in a USER command. 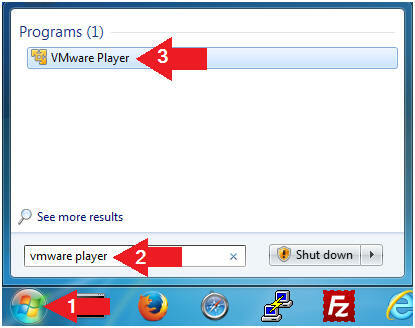 The following lesson will show you how to down, install and run PCMan. The Post-Requisite Lesson will show you how to illustrate the exploit. © 2016 No content replication of any kind is allowed without express written permission. 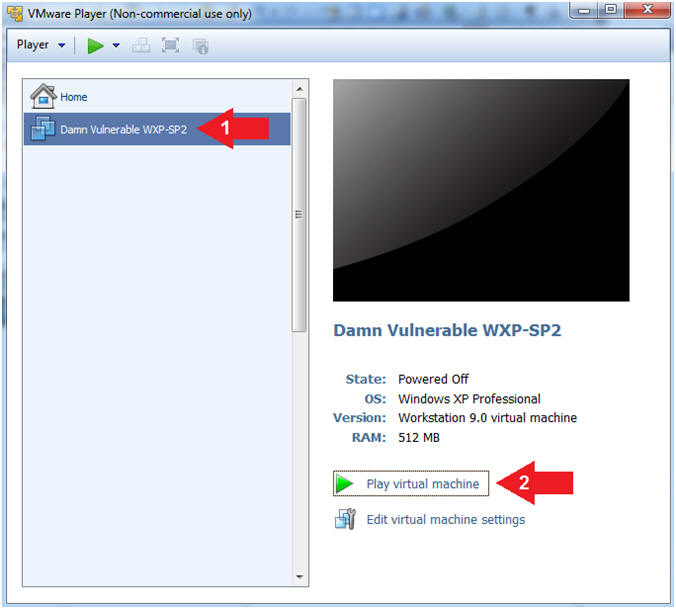 Open VMware Player on your windows machine. 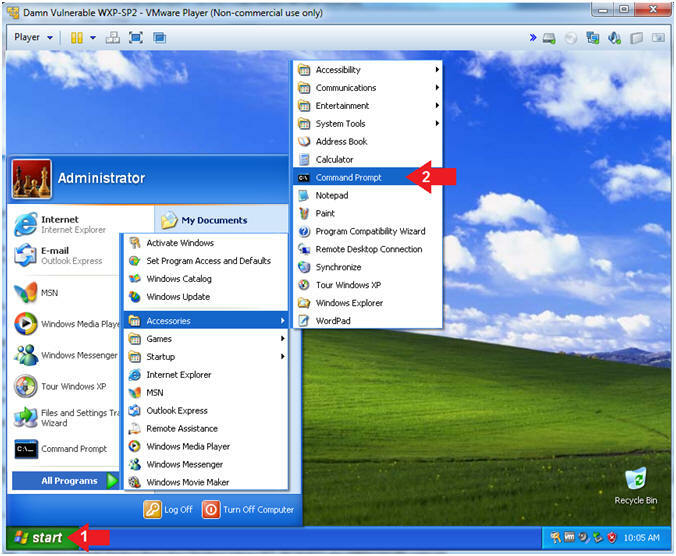 Before beginning a lesson it is necessary to check the following VM settings. 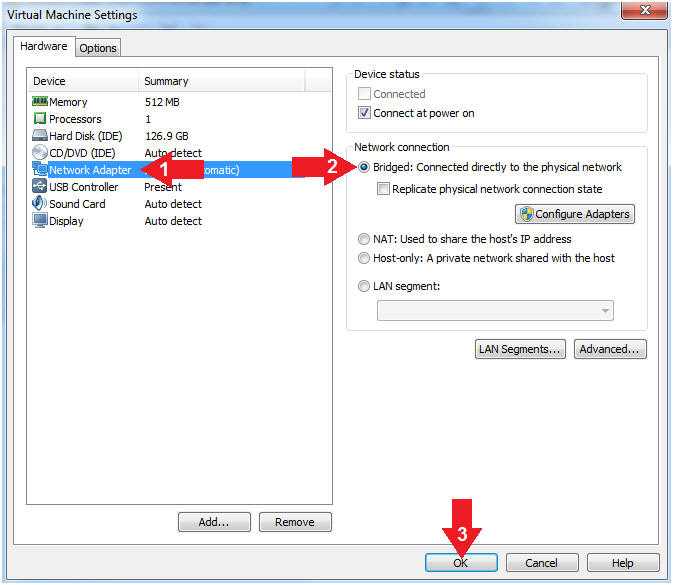 Click on the radio button "Bridged: Connected directly to the physical network". 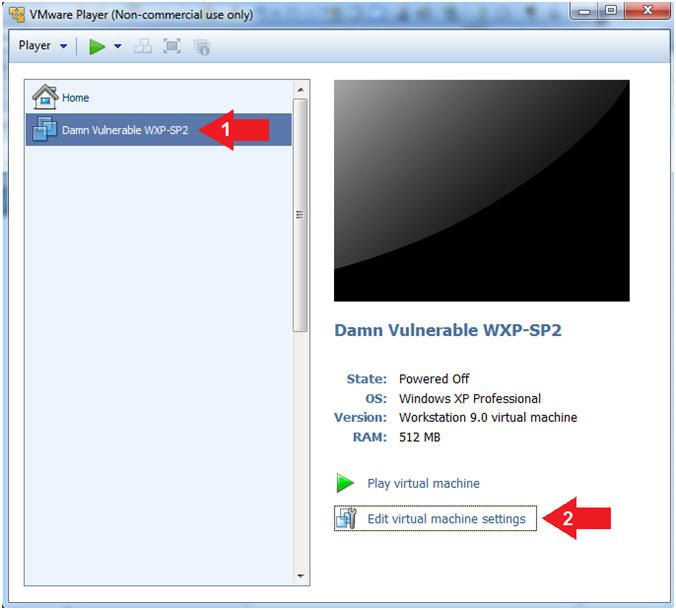 Start Up Damn Vulnerable WXP-SP2. 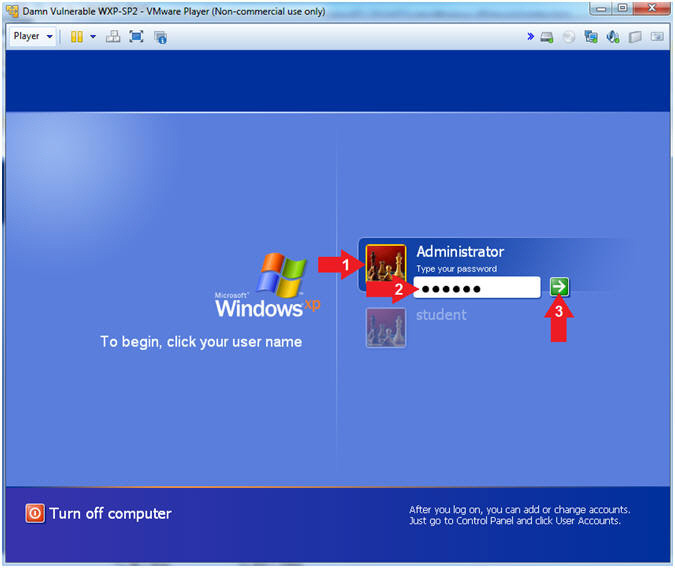 Logging into Damn Vulnerable WXP-SP2. 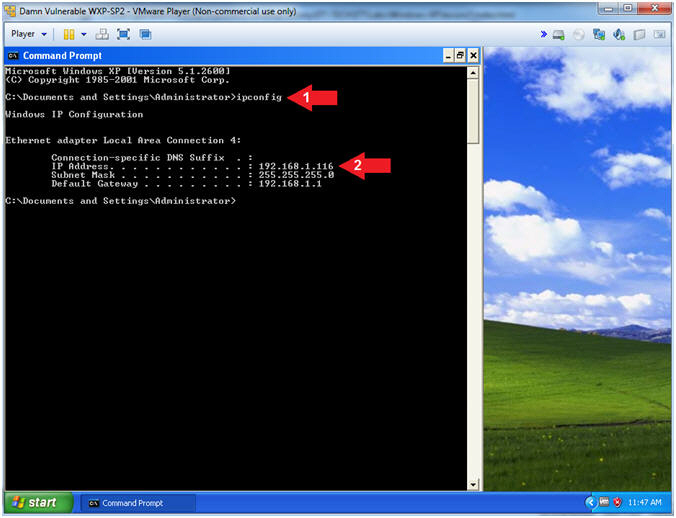 In my case, Damn Vulnerable WXP-SP2's IP Address 192.168.1.116.
tasklist 2>NULL| find /i "pcman"
netstat -nao | findstr "2852"
Replace the Process ID(2852) with your PCManFTPD2.exe Process ID. Put in your actual name in place of "Your Name"
Command #1, Use (tasklist) to show all the running processes. Use (find) and ignore case (/i) to display only the processes that contain the string (pcman). 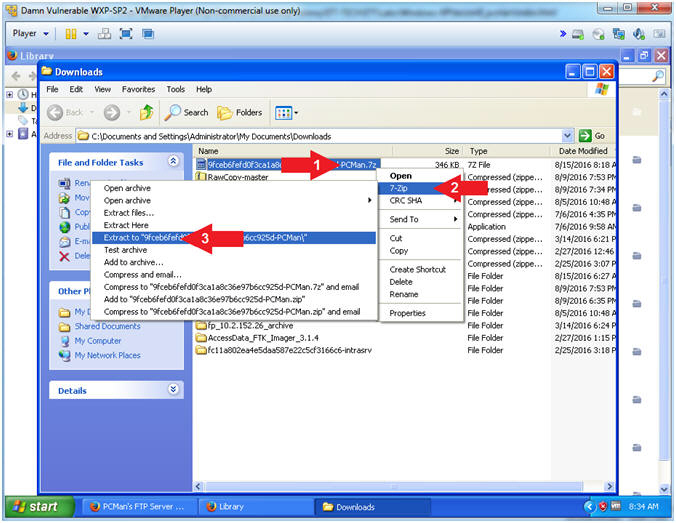 Retrieve your Process ID associated with PCManFTPD2.exe. Mind is 2852. Command #2, Use (netstat -nao) to display all (a) network connections, their port numbers (n), and the owning process (o). Use (findstr) to display the Process ID(2852). Remember to replace my Process ID(2852) with your Process ID. Press the <Ctrl> and <Alt> key at the same time.